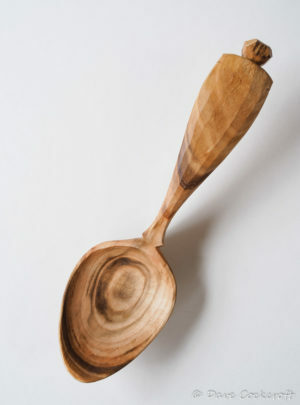 This wide bowl eating spoon from slightly spalted cherry wood. 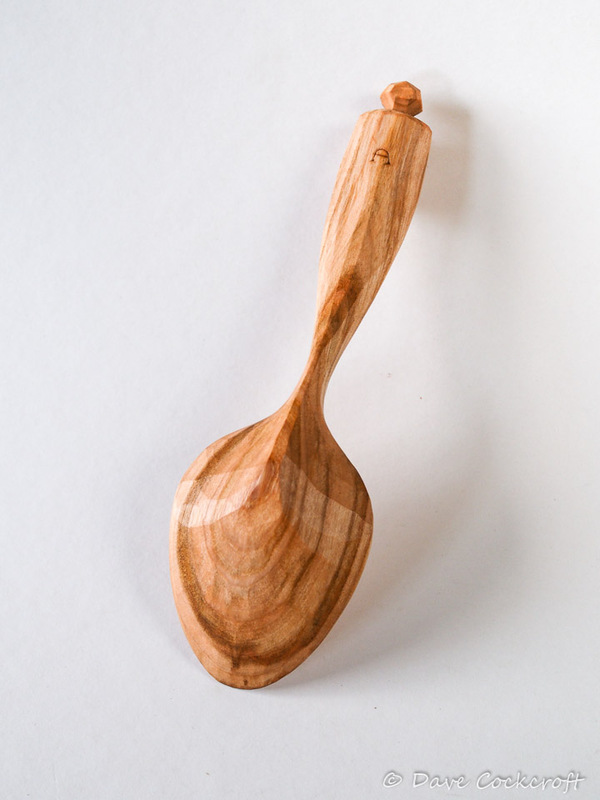 Big bowl and short handle in the Scandinavian style of eating spoons. 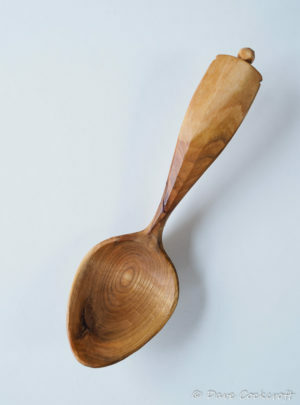 This spalted blackthorn eating spoon has sweet faceted surfaces on the handle to provide plenty of interest for your thumb and a lovely splash of colour on the back of the bowl. 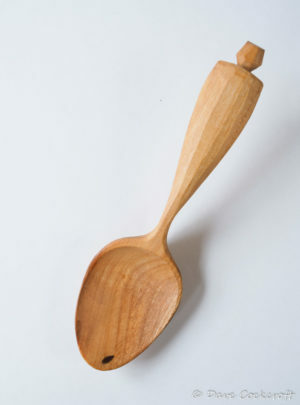 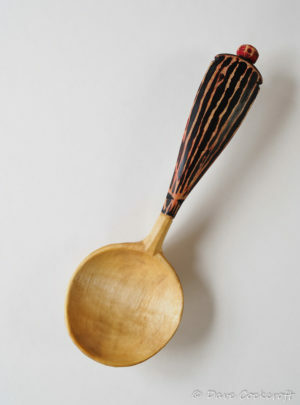 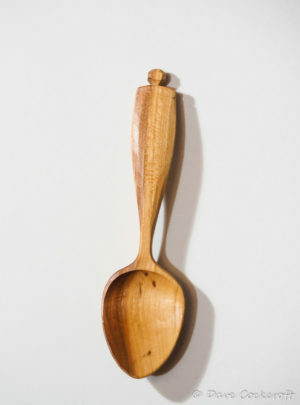 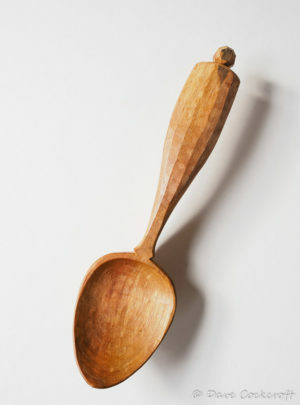 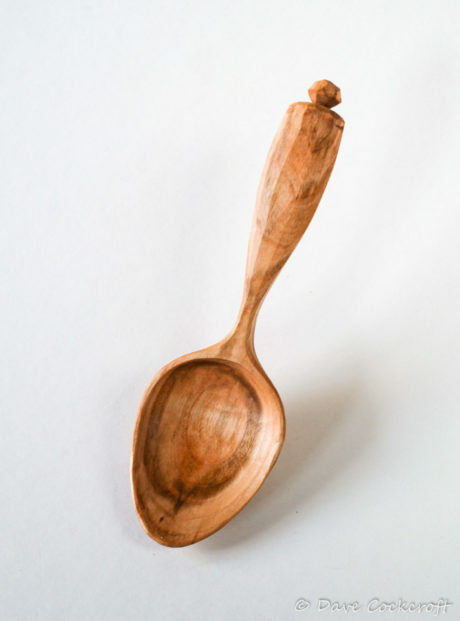 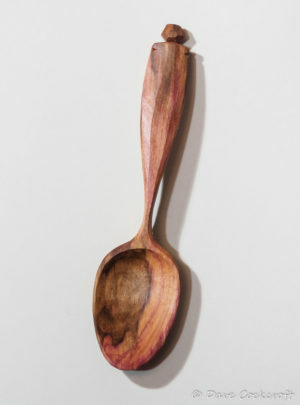 A unique spoon from a unique piece of wood. This elegant blackthorn spoon has plenty of gorgeous heartwood in the depths of the bowl. 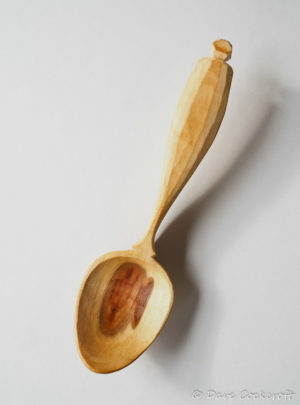 Just a little smaller with a slightly narrower bowl than most of my other eating spoons.